Apple today released a developer-only beta of watchOS 3.2 and the biggest news aside from support for Siri in Apple Watch apps is Theater Mode that we thought would make its debut in iOS 10.3 (it didn’t). 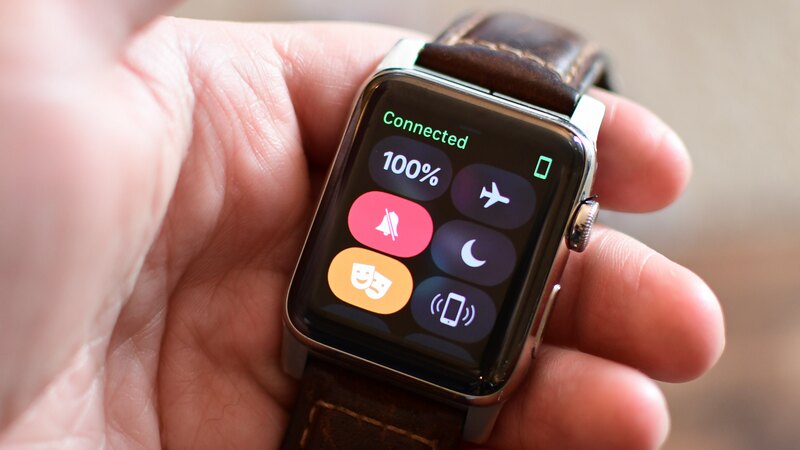 Activated via a brand new toggle in Control Center, Theater Mode puts your wearable device into silent mode while keeping the screen dark until you tap it or press the Digital Crown or the Side button. As shown on the screenshots below, after the Theater Mode icon in Control Center is tapped on (left), a splash screen appears explaining what this feature does (middle). You then have to actually tap the Theater Mode button at the top of this screen to enter Theater Mode, which will then turn its Control Center icon yellow (right). When Theater Mode is on, a new icon created just for it appears at the top of the screen. As mentioned, Theater Mode disables the Wake Screen on Wrist Raise feature but haptic feedback stays on. 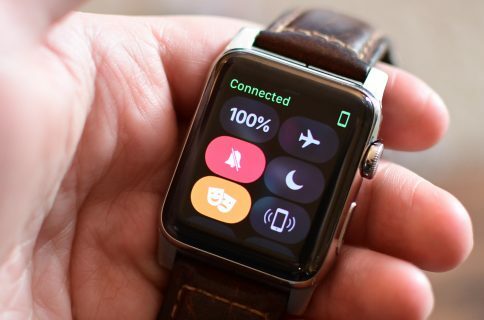 In other words, you still “feel” notifications and other important alerts on your wrist when Apple Watch is in Theater Mode, and they can be read by tapping the screen or pressing one of the physical buttons on the device. As alerts don’t light up the display or play sound, Theater Mode should be especially great for moviegoers (hence the name). While you can always manually mute the ringer and alerts on your watch and disable Wake Screen on Wrist Raise, that’s a multi-step process compared to the simplicity of toggling Theater Mode via Control Center. 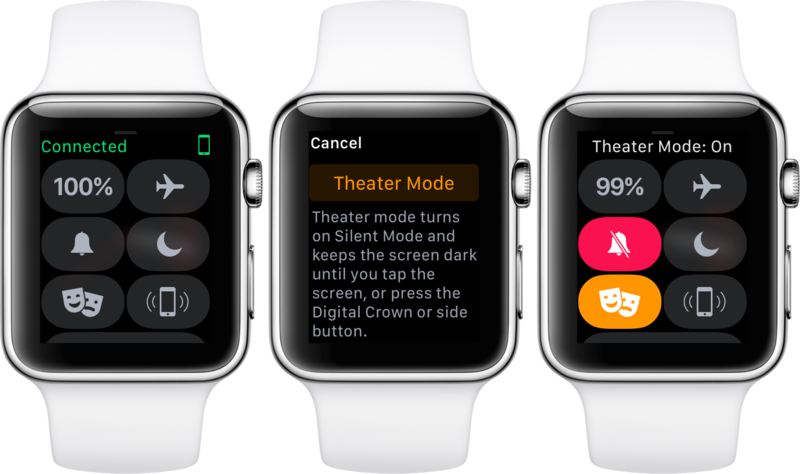 Check out a quick video demonstration of Theater Mode in watchOS 3.2 that our resident video editor Andrew O’Hara put together for you guys to watch. Please like and subscribe to iDownloadBlog on YouTube and be sure to tap the little bell icon or you won’t get a notification when we push a new video to the channel. Now, I can totally see myself using Theater Mode while driving. 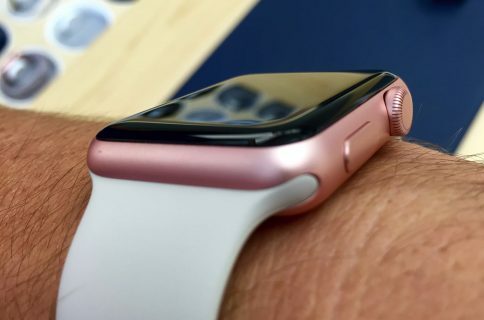 That’s because Apple Watch’s Wake Screen on Wrist Raise feature tends to turn on the screen every time I change gear, make a turn or any movement on the steering wheel. That’s me, but different people will invoke Theater Mode in different situations. Fitness fanatics, for instance, may use Theater Mode when going on a bike ride. I wear my Apple Watch at night to measure the quality of my sleep with apps like HeartWatch so Theater Mode should be great for sleep tracking as well. Aside from Theater Mode, watchOS 3.2 brings SiriKit to let users ask Siri on their Apple Watch do things like book a ride, send a message, make a payment or make other requests that their favorite app can handle. Theater Mode and SiriKit will be available for everyone soon enough so be sure to watch this space to be among the first to know when watchOS 3.2 releases publicly. So, will you be using Theater Mode for purposes other than muting alerts in the cinema?